According to the National Hydrology Meteorology Forecast Center, the nationwide provinces and cities are suffering hot and muggy weather at daytime, rain appearance in evenings. The northwestern region will experience cirrus cloud, air humidity of 55- 97 percent, maximum temperature of 26- 29 degrees Celsius, minimum temperature of 18-21 degrees Celsius at daytime, and small- medium rainfall and thunderstorms in evening of March 17. Meanwhile, the northeastern region is expected to see deep cloud, air humidity of 60- 98 percent, the maximum temperature of 23- 26 degrees Celsius, the minimum temperature of 19-22 degrees Celsius, rain occurrence in the evening. 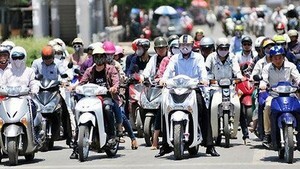 The weather in capital of Hanoi is deep cloud in the early mornings and small rainfall, powerful wind of level 2-3 in evenings. The lowest temperature in the area maintains at 20-23 degrees Celsius. 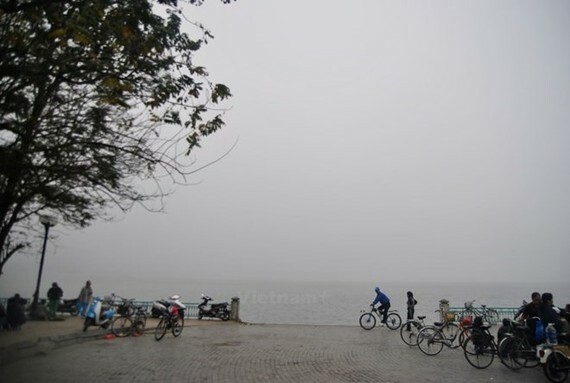 The provinces from Thanh Hoa to Thua Thien- Hue, from Da Nang to Binh Thuan are forecast to have the appearance of deep cloud, slight fog in mornings, small- medium rain in evenings, air humidity pf 55- 96 percent and the lowest temperature of 20- 25 degrees Celsius. Both the Central Highlands and the southern regions are warned to face cirrus cloud, hot weather at daytime, small rainfall, thunderstorms, cyclone, hail and strong wind in evenings. The highest temperature in the areas could reach at 29- 35 degrees Celsius.